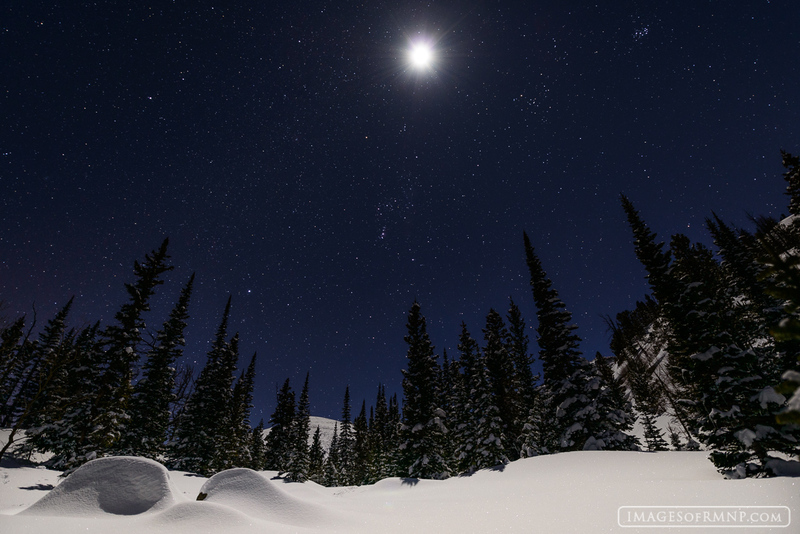 In my years of exploring the mountains, I've found the most magical time of all to be those rare nights following a snowstorm when all is calm and lit by the moon. During these nights there is such a deep stillness that you feel like you have walked into a solemn gathering. The trees have congregated together to lift their arms up towards the heavens while the white snow sparkles in unison with the stars above. Something magical is taking place in the forest. I wander amongst them, but they do not seem to notice me as their attention is elsewhere. The longer I stay, the more I am drawn into their reverence and long to join in with this deep sacred celebration of life, light and existence. Photo © copyright by Erik Stensland.